For the wedding I have decided to make some paper flowers for table decorations. I imagine using them scattered over tables with maybe a few keyboard keys thrown in for good measure. This is instead of confetti, because that just gets into everything and I just don’t like it. I’m also thinking of putting a few different types of paper flowers on stalks and being held in painted wine bottles for centre pieces. But in order to do this, I needed to see if I could actually make them. 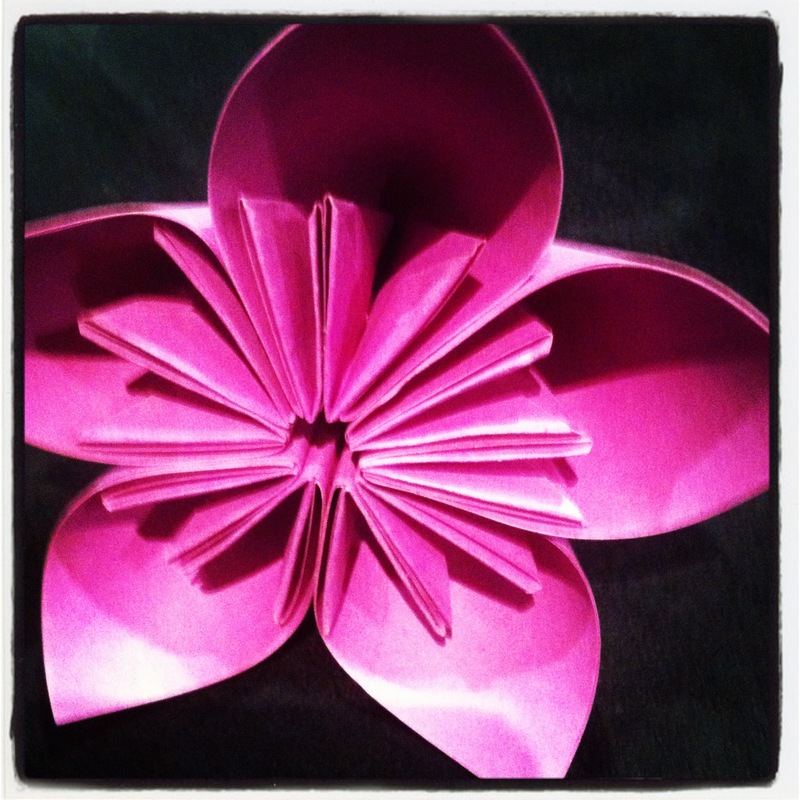 So I decided to make some paper flowers yesterday. I followed these instructions. Then glued them all together. But for the wedding I will need to find paper in the colours I want. I’d like to stick to silver/white, teal and black. 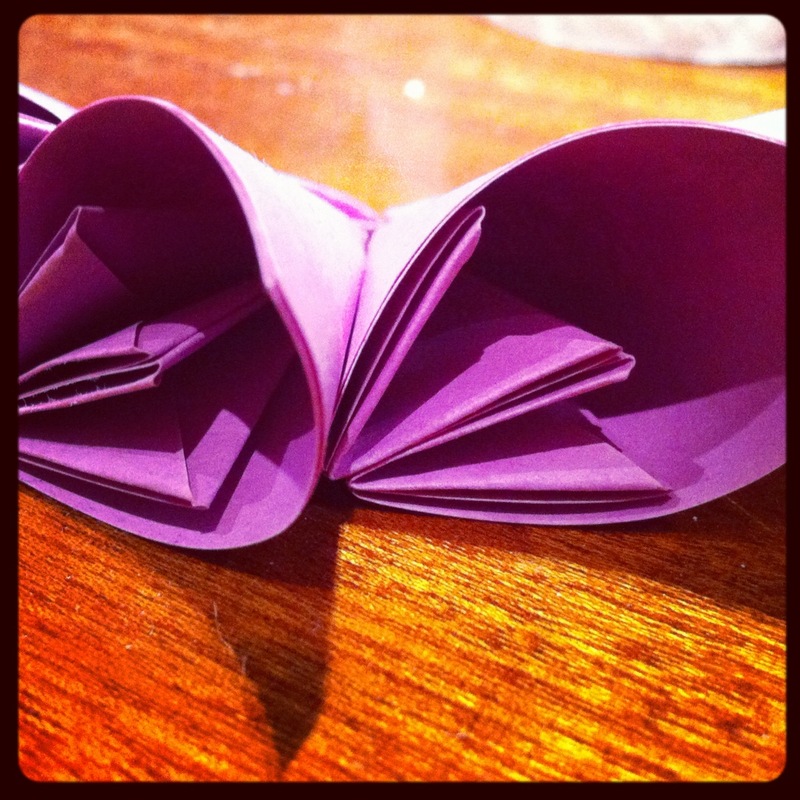 So if anyone knows where I can find small square pieces of paper to make these flowers, it would be much appreciated!